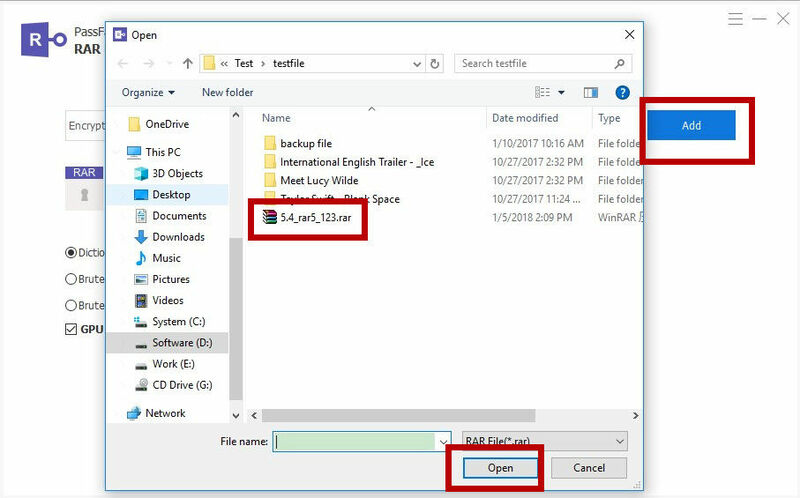 How Can I Crack a Password Protected WinRAR File? WinRAR appears to be the best choice for data compression protection. But have you ever ended up with a WinRAR file that was password protected? Maybe you set the password yourself and forgot it! Whenever the case, there are a couple of ways to crack the WinRAR password if you get lucky. To crack or remove WinRAR password can be quite easy. You don’t have to get much professional skills or knowledge. All you need is a professional and efficient WinRAR password remover. According to user review and feedback, RAR Password Recovery (from SmartKey) is the most reliable one, featuring 3 major attack types to unlock password protected files in no time. Step 1: Launch this program. Then choose “RAR Password Recovery” on the main interface of this software. And click “Add” to load the encrypted RAR or WinRAR files. Step 2: You will be provided with 3 attack types: Brute-force Attack, Brute-force with Mask Attack, Dictionary Attack. Each type has its own features. You can choose the most suitable one according to your case. Brute-force Attack will try all possible password combinations by default. If you can’t remember anything about your password, you can choose this type. Brute-force with Mask Attack allows defining the sets, such as Min Length, Max Length etc. you can select this type if you provide some clues about the password. Dictionary Attack allows you to use the default dictionary that comes with this program, or import your own. 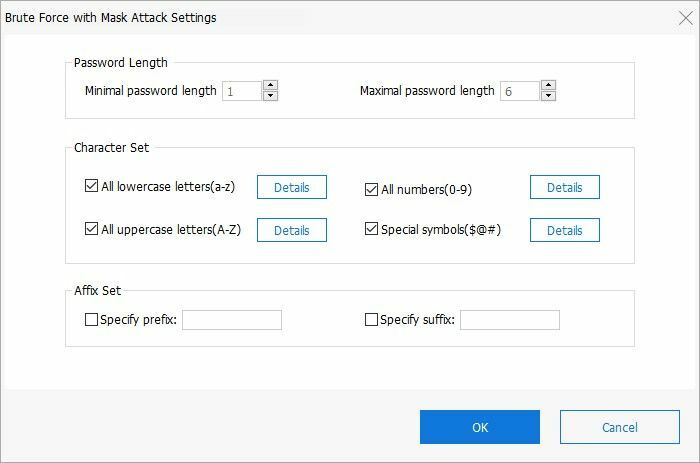 Step 3: After you choose an appropriate attack type and define settings, click “Recover” to begin the password unlocking process. This program also makes it quite convenient to search for encrypted RAR files for password recovery. How Long will It Take to Crack a WinRAR Password? How long will it take to unlock a WinRAR password? I think this is the issue you are most concerned about. Here is the thing you should keep in mind. If you still remember some information of your WinRAR password, say appropriate password length, letter and number or symbol combination etc., you are highly advised to select Brute-force with Mask Attack while performing RAR password recovery process. The best way is to choose Dictionary Attack. You can first of all create a password list which includes all your possible frequently-used password combinations. Then import it to the software for recovery. Trust me. This will save you a lot of time and trouble. Meet more password cracking problems? 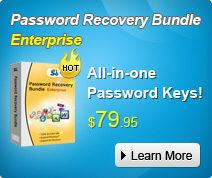 Check the most convenient password recovery software in SmartKey to seek help. It helps you to crack RAR or WinRAR passwords and let you open files in the archives.